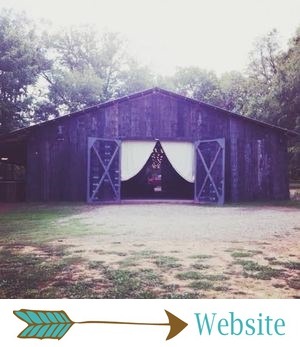 Today is the first ever Barn at Twin Oaks Ranch Blog Giveaway! To show how much we love ya, we’re giving away a pair of boots from Woody’s Boot and Repair. Not just any ol’ boots, but the winner will actually get to choose between TWO fancy pairs. We’re also giving away a fabulous Barn t-shirt and a Barn mug! There are 18 ways to enter to win! Please leave a separate comment on this blog post for each entry. *You must follow The Barn Blog on Bloglovin. Leave the link to your Bloglovin profile in the comments, please! If you don't already have a Bloglovin account, signing up is easy and quick! It allows you to keep track of all the blogs you read, which is so handy. *Leave a comment letting us know which pair you'd choose if you win! *Like us on Facebook, and let us know your Facebook name in the comments (on this blog post). *Follow us on Pinterest, and leave the link to your Pinterest account in the comments. *Pin the first picture in this post on Pinterest, and leave a link to the board you pinned it on in the comments. *Follow us on Instagram, and leave your username in the comments. *Like and share the giveaway post on Facebook, and come back here to tell us! *Post a picture announcing the giveaway on Instagram, and then come back here and let us know you did so. *For each post you comment on between now and the deadline, you will also earn another entry. That’s another 11 opportunities to win! The giveaway will be open for the next two weeks, so you’ve got plenty of time to enter and tell all your friends about it! We will announce the winner on Wednesday, October 15. *This giveaway is open to all of our U.S. readers.